There are hundreds of varieties of energy bars on the market today. While many have health benefits and nutrients, there are some that contain excessive calories, chemicals, and sugar. Unless you are intensely training for over an hour, try to avoid bars that contain above 16 grams of sugar. Energy bars can vary in price from $0.99 to over $3.00 each. Unprocessed bars with natural ingredients deliver more nutrients than heavily processed bars. You can identify highly processed bars by their ingredient list: aspartame, hydrolyzed collagen, hydrolyzed gelatin, soy protein isolates, and isoflavones. Picky Bars and Clif Bars have a good ratio of carbs to protein, about 4:1, to prepare the body for a strenuous workout or aid recovery. Perfect for before an interval workout on the Arc Trainer. Pro Bars taste great and they contain healthful, unprocessed ingredients such as dried fruits, nuts, seeds, and rolled grains. At 380 calories, they are too much for a snack, but if you are travelling or rushed, they make an acceptable breakfast or lunch. Keep in mind though, they only contain about 10 grams of protein, so they really require some supplementation with Greek yogurt or low-fat cheese. Second choice is Clif Builder Bars. They have plenty of protein, at least 20 grams, but are high in saturated fat, so keep that in mind when planning your other meals that day. Kind bars are simple, nut-based bars that are found in grocery and convenience stores, as well as Starbucks. 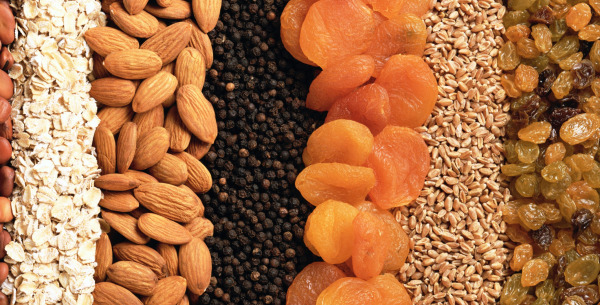 Low in sugar and high in fiber, they contain 5 to 7 grams of protein and 10 to 13 grams of sugar. Zone bars and Luna bars have better nutrient profiles, but they contain many heavily processed ingredients and can be harder to find. PowerBars have up to 30 grams of sugar, making them a less desirable choice. Gnu Bars have 12 grams of fiber, almost half a day’s worth, and they don’t taste like cardboard! Also, they contain only 140 calories per bar. Runner-up is Fiber One bars, which contain 9 grams of fiber and are widely available. Unfortunately, they are highly over-processed so only eat them occasionally. 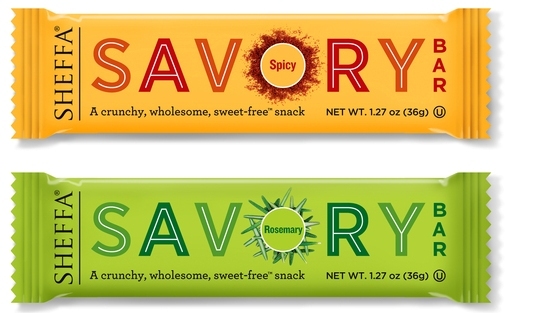 While most bars taste like dessert, crunchy Savory Bars come in flavors such as Rosemary, Sesame, and Spicy. Savory Bars contain only 150 calories, but are low in protein so pair them with some cheese to tide you over till your next meal. The above list is purely subjective, but use it a guide to your own “barhopping” journey to find the best energy bar(s) for your needs.